The rivalry between the Dalien Wanda and Huayi Brothers is intensifying, with Huayi investing CNY ¥78.85 million (USD $11.5 million) for 95 million shares in Dadi Cinemas, China’s second largest cinema chain. The deal gives Huayi Bros a 4.56% stake in Dadi, making it the company’s third-largest shareholder and allowing for vertical synergies for the film production and distribution major. Last year the Huayi-produced “I Am Not Madam Bovary” was allegedly removed from Wanda cinemas after the director Feng Xiaogang criticised Wanda chairman Wang on social media. The film had performed strongly despite being an arthouse film, but the Wanda de-programming is said to have hampered the films box office takings and created animosity between Huayi and Wanda. The rivalry between Huayi (founded by brothers Wang Zhong Jun and Wang Zhong Lei) and Wanda goes back further with Wanda supposedly unhappy that its senior executive Jerry Ye (aka Ye Ning) left Wanda to join Huayi as head of movie operations early in 2016. Prior to “Bovary” it is alleged that Wanda also hurt the box office prospects of Huayi’s US animation “Rock Dog”. Before that, Huayi scored a big hit by co-distributing “Warcraft” in China together with China Film Group (CFG), even though Wanda had acquired Legendary Pictures, which produced the film. Going into 2017 Huayi knows that it needs to secure access to Chinese cinema screens, so investing in Wanda’s biggest rival was a necessary move. While typically overshadowed by Wanda, Dadi (Earth) Cinema has gone from being the eighth largest to second largest cinema operator in China in the past six years. It is currently the fastest growing cinema chain, even beating Wanda in terms of new openings. In the first half of 2016 Dadi had box office revenue of CNY ¥2 billion (USD $292 million), an increase of 24.3% on the same period from the previous year, representing 8.1% of China’s box office. Dadi has 643 cinemas built or contracted across China and despite the rapid expansion for the first six months its profits increased 436%. While the second half of the year is may have seen a slowdown, Dadi is likely to have been less affected than its smaller rivals. Previously Dadi secured a CNY ¥1 billion (USD $146 million) investment from Alibaba Pictures Group (APG), which gives it an indirect stake of 4.76% in Dadi and making it the exhibitor’s second-largest shareholder. Far from just giving Dadi funds to build more cinemas, the deal also covers movie promotion, e-commerce and additional film-related businesses. 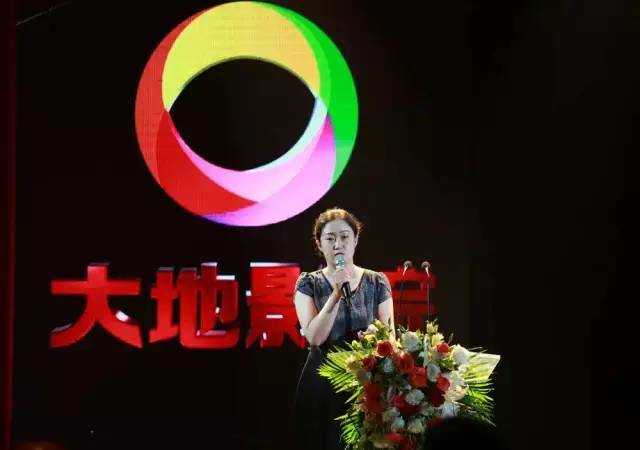 It is one of several deals that Dadi has secured in recent years as part of a well crafted strategy by General Manager Ms. Yu Xin, backed by Dadi Cinema Group Chairperson Ms. Liu Rong. The two might not be household names in the west like Wanda chairman Wang, nor have they embarked on a foreign cinema buying spree (yet), but Ms. Yu and Ms. Liu have built a formidable cinema operator focused on the Chinese market. China’s media regulation authority SARFT has been slow to issue licences for new cinema operators, though this may change in 2017. So investing in Dadi rather than applying to open more of its own screens, then securing deals with mall operators and finally building them, was an expedient move for Huayi, which is also heavily involved in several other media ventures. The investment in Dadi will be used to build new cinemas in the race to catch up with Wanda. It should be noted that Huayi itself already has 16 cinemas, including the flagship Huayi Brothers Film Exchange that opened in Beijing in November 2016, followed by the 10,000 square meters Huayi Brothers Film Center in Xiamen that opened on 8 December 2016. It has even signed an agreement with Imax for three screens. But while these cinemas represent a fusion of film screenings, high-end catering and private custom services in a new luxury-style cinema environment, they did not represent a significant enough market share to help their films. But Dadi does. The first fruits of the new Huayi-Dadi partnership will come during the Spring Festival (Chinese New Year), which will see the release of the Huayi-distributed Jackie Chan vehicle “Kung Fu Yoga” and Dong Zijian’s “Youth Babylon”. 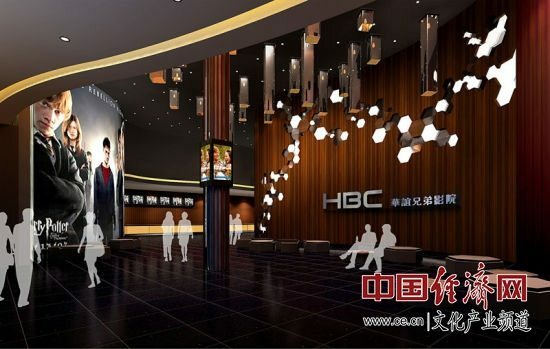 Huayi Brothers Cinema – flagship luxury cinemas.